One thing has struck us meeting lots of you on holiday, is that people come back year after year. The love for this town is enormous, and is it any wonder with the huge range of activities and events organised over the year? From January to December there is always something going on. The latest event to be added to the calendar is the Viking Fire Festival in February. Now I am a Viking! 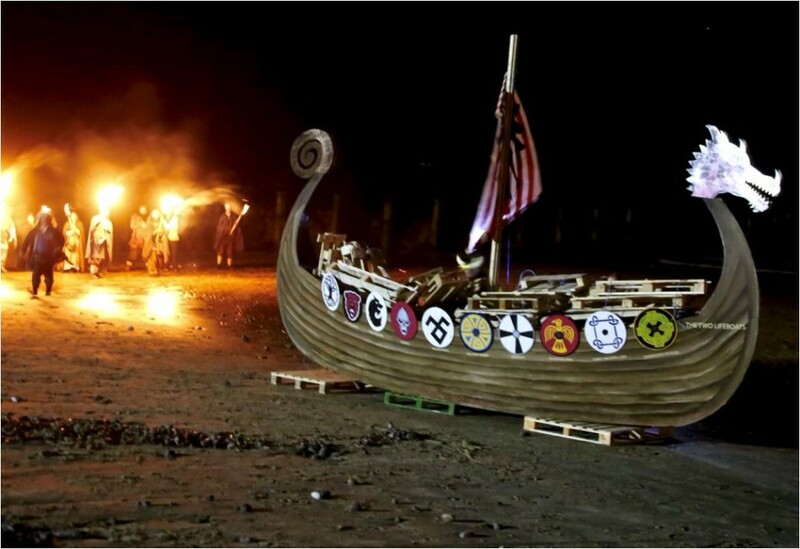 My father came from Shetland where the very famous Up Helly Aa festival takes place each January, so it takes a lot for me to be impressed, but I was! It is incredible and really captures the essence of the northern fire festivals, very exciting and a great event for children to experience. The highlight of the year is the Carnival, all summer long there is something on, culminating in the Carnival Week, in August. 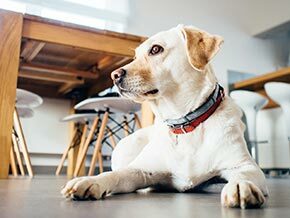 There is just something for everyone! 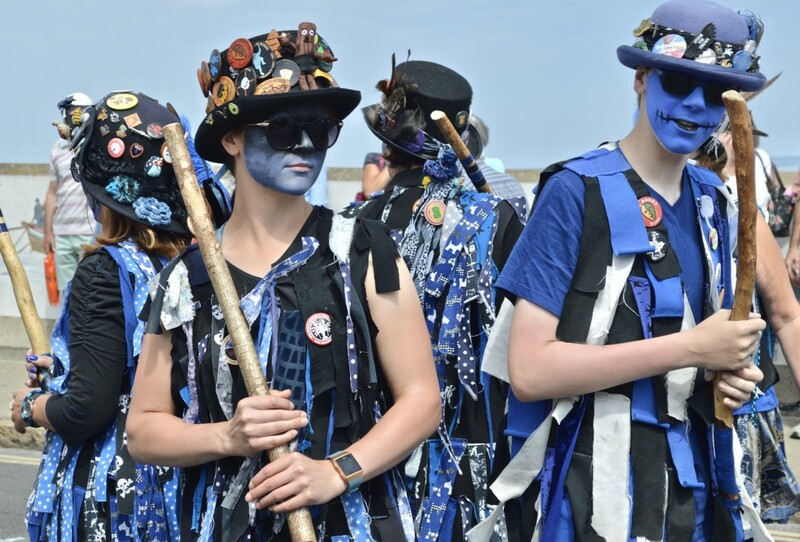 One of the strangest events is The Potty Festival, a huge gathering of Morris Dancers from all over the country. Believe me whatever pre-conceived ideas you had of Morris Dancing, forget them. The costumes, dances and sheer joy of the weekend is fantastic. It is one of my favourite weekends of the year! The 1940s weekend based around the Norfolk Steam Railway is something again not to be missed. The whole town embraces the 1940s and you really feel as if you are transported back in time. The railway also runs Santa Specials in December and lots of Steam Galas during the whole year. 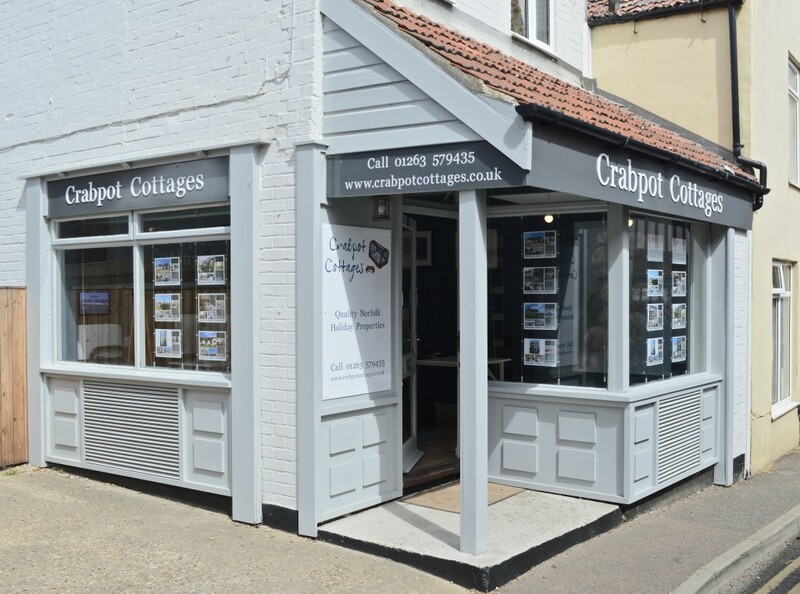 So if you are looking for a holiday cottage in Sheringham for your well earned break, whatever the time of year, take a look at our website! Crabpot Cottages is different. Mussel Cottage – sleeps 3 – centrally placed in the town perfect for all events. Outside space. Splashpoint – Sleeps 5 – Super cottage with terrace over looking the sea, private garden – dog friendly – well equipped.